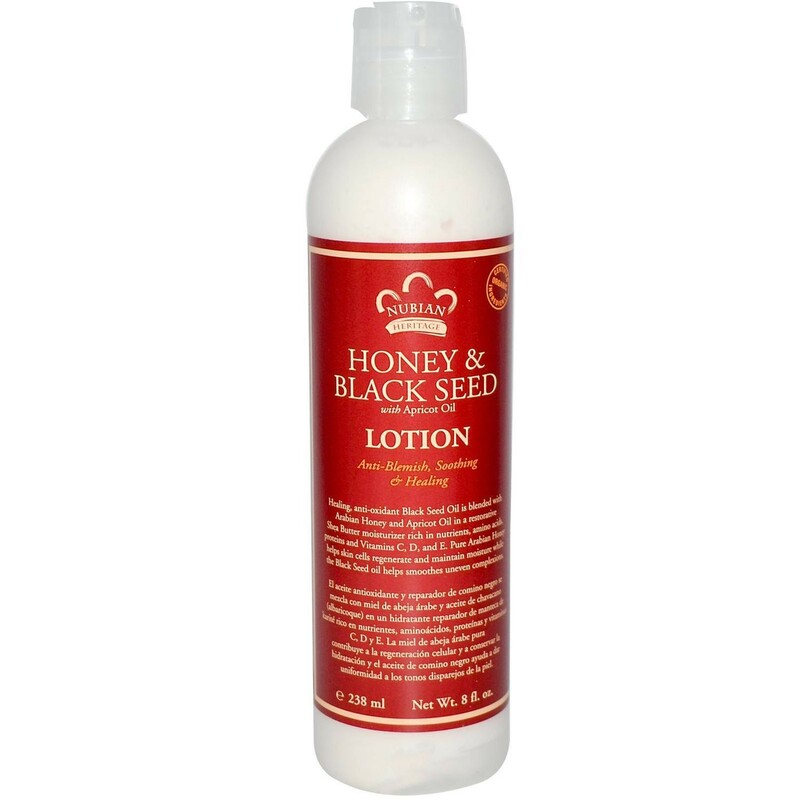 Healing, anti-oxidant Black Seed Oil is blended with Arabian Honey and Apricot Oil in a restorative Shea Butter moisturizer rich in nutrients, amino acids, proteins and Vitamins C, D, and E. Pure Arabian Honey helps skin cells regenerate and maintain moisture while the Black Seed oil helps smoothes uneven complexions. HERITAGE: Honey has historically been used as an antiseptic in balms and poultices to comfort and soothe skin, reduce redness and heal wounds. Black Seed oil, Nigella Sativa, can be traced back more than 3,000 years to the kingdom of the Assyrians and ancient Egyptians. Discovered in the tomb of King Tutankhamen, Black Seed oil was reportedly used by Queen Nefertiti to maintain her exquisite complexion. Black Seed earned the Arabic approbation "habbatul barakah", the seed of blessing, for its powerful curative properties in traditional medicine. SKIN TYPE: Sensitive, All Skin Types. USE: Daily use will result in clearer, healthier skin.